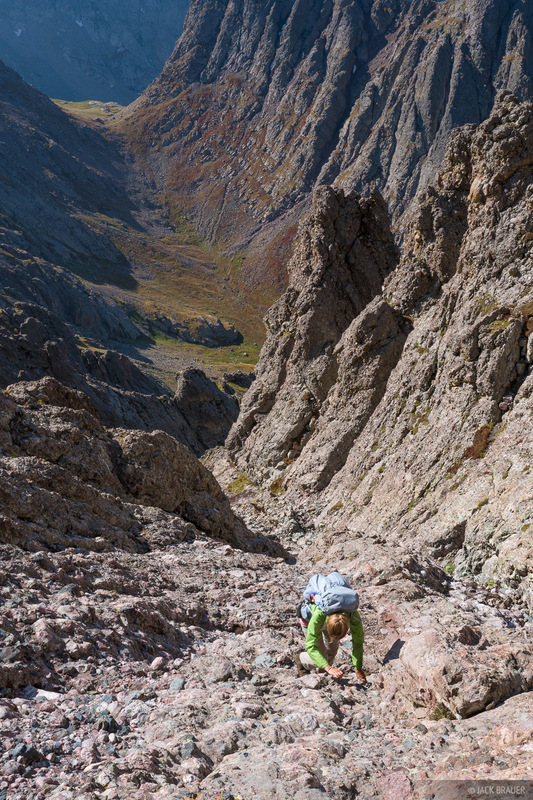 Scrambling up the spicy South Couloir of Crestone Needle. This is the standard route up the Needle, one of Colorado's most challenging fourteeners to climb. Although it looks like the couloir is full of loose rock, it's actually all solid conglomerate rock -- like ancient river rocks all stuck together in cement. The climbing is exposed but at least there are bomber handholds everywhere!